يشكل فندق منتجع فييستا جوام بموقعه الممتاز في قلب طمون باي نقطة انطلاق ممتازة لاستكشاف جوام. يمكن من هنا للضيوف الاستمتاع بسهولة الوصول إلى كل ما تقدمه هذه المدينة النابضة بالحياة. سوف يعشق النزلاء موقع هذا الفندق، فهو قريب من أهم المعالم السياحية في المدينة كمثل متنزه شاطىء يباو, Guam Sda Clinic, Acanta Mall . يقدم منتجع فييستا جوام خدمات لا غبار عليها وكل أشكال اللياقة وحسن الضيافة اللازمة لإسعاد ضيوفه. يقدم الفندق واي فاي مجاني في جميع الغرف, أمن على مدار 24 ساعة, متجر, خدمة التنظيف يوميًا, متجر هدايا/تذكارات لضمان الراحة القصوى لضيوفه. في الفندق غرف نوم يتجاوز عددها 318، كلها مجهزة بعناية وجمال وبعضها مزود بـ تلفزيون بشاشة مسطحة, اتصال لاسلكي بالإنترنت, اتصال لاسلكي بشبكة الإنترنت (مجاني), حوض الاسترخاء, غرف لغير المدخنين. يمكنك الاستمتاع بالأجواء المريحة التي تقدمها تأجير معدات الرياضات المائية, الغوص السطحي, شاطئ خاص, مركز للياقة البدنية, حمام سباحة خارجي طوال النهار. مهما كانت دواعي سفرك فإن منتجع فييستا جوام هو خيار ممتاز لإقامتك في جوام. مطلوب وديعة إما ببطاقة الائتمان أو نقدًا عند تسجيل الوصول لجميع النزلاء مقابل المصروفات العارضة. يوفر هذا العقار زجاجة مياه مجانية مرة واحدة فقط لكل غرفة، ولا يسري ذلك طوال فترة الإقامة. I paid a good amount of dollars expecting a legit 4-star or better resort. The location is excellent near the beach, but the room is rather small and outdated. The swimming pool is also small and boring with no slides at all for the kids. There were constant headaches in finding a parking space at night with no valet parking services offered. I would pay similar dollars(over $200 per night), but offers renovated rooms and facilities even if it's not right near the beach. Compare to the dollars I spent, this hotel was a disappointment in many areas. At least, the staff were friendly, but that is not enough to overcome all the shortfalls compare to what this hotel charges and I am a well traveled person for both personal and business purposes. I just don't think this hotel is worth the money I spent. I got an ocean view room which is the best decision I made since the view is really amazing! Free shuttle going to micronesia mall is just 2 mins walk to the left and free shuttle to GPO is just 5 mins walk to the right. K mart is just a short 12 mins walk but uphill so kinda tiring. The Filipina receptionist is really welcoming and friendly (thank you!) This is just a short ride from and to the airport that cost us 20$ per way. Many are complaining about how the hotel is outdated and old but for me this are just small things. 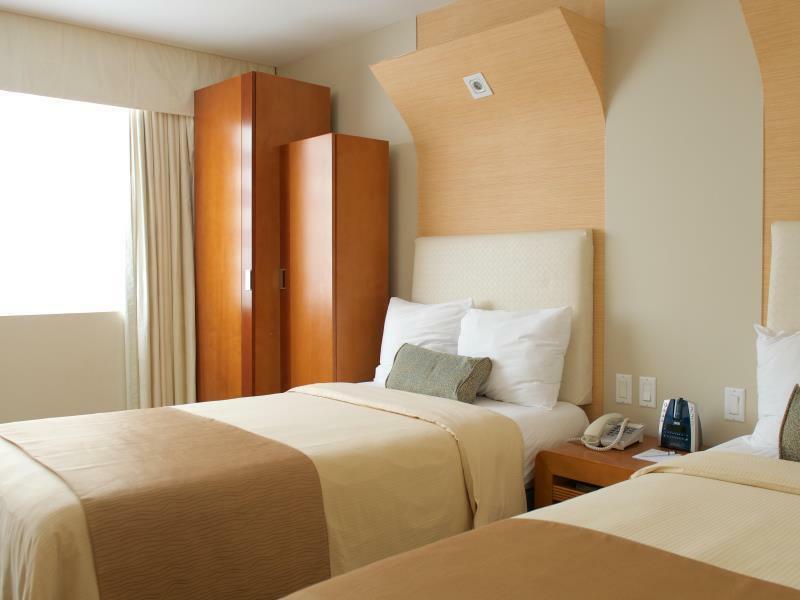 The service is impeccable even house keeping is quick and clean. Thank you! I reserved two rooms with the same name and email. One was assigned to the second floor and the fifth floor. I answered that I can not adjust for two days because of exhaustion. The rooms on the second floor are mostly front roofs view. It is not understandable to pay the same price as the rooms with the sea view of the other floor just because the sea is slightly visible. In addition, despite all these problems, there is a serious problem with the dignified attitude that there is nothing wrong with them. Centre of Tumon beach, excellent beach for snorkeling. 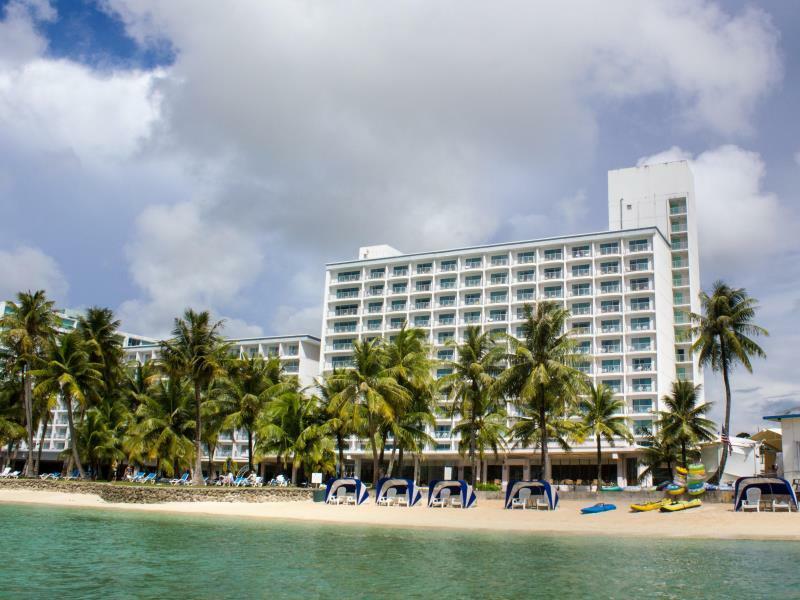 Facilities are a bit old, almost all hotels in Tumon beach are the same, isn't it? Breakfast is good enough but not excellent. Staff is polite & helpful. If you looking for best for value, this the answer, if you looking for luxury hotel, there are better choices. Stayed here for 3 nights. They allowed us to check-in earlier. Breakfast is okay. Facilities is also okay. The hotel location is okay too about 15mins walk to the The Plaza. It is a beachfront property too. Few points to improve are water was given for free just for the first day. They can replace it but you need to pay. They don’t have body wash and comb too as it was out of stock. Hafa Adai, Thank you for your comment. Sorry about inconvenience that you experienced during your stay. We will put the compliment water suggestion in our future discussion. And we are sorry about your body wash, we will make sure to replace it timely in the future for our guest. Thank You and Have a good day. I loved the beach front and I love that the room had fantastic view of the beach. One thing, tho, the listing said it was a room with 2 queen beds. It turned out that it was 2 semi-double bed....not even a double bed! The air conditioner also did not go past 24 degrees Celsius even if we tried to lower so many times. Except for those, our stay was great. We loved our stay here, the rooms were clean and spacious, the beds and pillows comfy, and the view from our balcony was breath taking. Location was central and it was easy to get around with a rentacar. We loved the Seafood hotpot resto and the Haagen Dazs cafe just below the hotel. There is also a magic show and a beachside BBQ buffet with fire show, so you dont need to go far for entertainment. The staff were all attentive, accommodating and friendly. It helped that they were mostly Filipino. Even housekeeping requests were quickly attended to. Will definitely stay here again on our next visit to Guam. Con: Couldn't fix WiFi, passed problem to another staff member, no follow up, never resolved, only advised use alternative method. Pro: Local phone in room with cell data was amazing. Didn't need personal hot spot. Con: Inappropriate comments about time arriving to breakfast, walk in 30 minutes before closing, staff yells out what time is it to rest of staff, not welcoming. Another day, door was locked before breakfast hours were over, another day, felt rushed to hurry up, always closing early. Con: wanted receipt from hotel for the bill, desk clerk said not possible, get it through booking service, I had to get manager to provide verification for stay required for legal matter. Pro: Location, nice beach lagoon, close to nice restaurants, easy access. The staff was amazing and super helpful. The view from the balcony and backyard was breathtaking. Perry at the recreation rental for snorkeling gear and paddle boards was very knowledgeable of local waters and provided excellent advice to me as a visitor. Booked this hotel for beach access and it did not disappoint. Steps away from the beach with crystal clear water and can see lots of fishes. 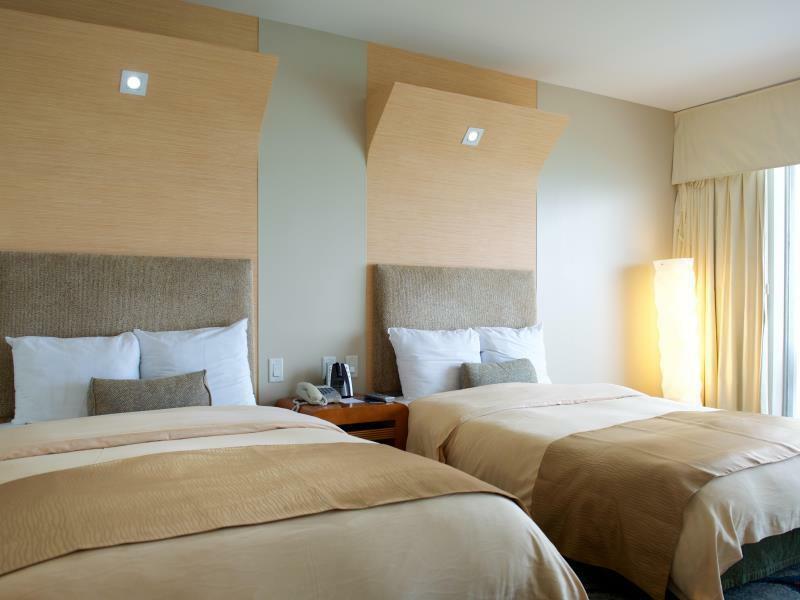 Definitely book an ocean view room and be greeted by gorgeous ocean view in the morning and sunset. Otherwise, the room is rather basic but serves the purpose. Location is a bit far from the main area, need to walk out to take bus. The hotel is a bit tired but with its location and private beach, it's a great place to stay. Didn't expect to see so many marine life during snorkeling in the hotel beach, trigger fish, angelfish, butterflyfish, spadefish, damselfish, pufferfish and sea cucumber etc.. Please train your staff on the art of customer service. It is a shame because it is what keeping this hotel to be amazing. Not helpful enough, not friendly enough. Really enjoyed my stay here. Other hotels are probably newer and fancier but surely more expensive. The room was clean and comfortable. I stayed in a Deluxe Ocean Front room, but I'm not sure if the regular Ocean Front rooms are much different (size is the same on their site). It was absolutely worth it for the beautiful view. The staff was friendly and helpful, the 2 pools were nice, as were the lounge chairs down by the beach. Perfect, really. The location is also great. If you walk out and turn left and walk about 5 minutes or so (maybe less? ), you can catch the shopping trolley (tip - use the app on your phone to pre-pay and get discounts!) which goes to all the main places. K-Mart is walkable (20 minutes or so) but might be further than you'd want to walk in heat with arms full of shopping. There are plenty of restaurants if you walk 5-10 minutes in either direction from the hotel, too. The location isn't in the heart of a busy area, but that's all easily nearby if you want to get there. If I go back, I'll definitely stay here again. We stayed at the Deluxe Ocean view room on the 11th floor so we got a very nice view of the beach. But once you go down to the beach area, the shore and the shallow waters were full of algae -- we did not want our 2 year old boy swimming in it. We ended up swimming in a different beach in Ritidian Point and another one in the south. I am very happy with the beach front access of this hotel. I traveled with my family with two very young children so ease of access is very important to us. The beach is just a few meters from the hotel lobby. The staff was very accommodating and polite. The breakfast buffet in the hotel is not that great. It would be better if you rent a car and eat somewhere else. Everywhere is just a few minutes drive in Guam. The rooms are perfectly located infront of the pacific. The staff are great and very accommodating. However there was a cleaning staff in the room who promised to bring back the four towels we had since the firat day but every cleaning day ahe is just placing 2 towels as the standard Also, the hotel is not repleneshing water and bath materials. But everything is great.